The World Health Organization estimates that lack of access to clean drinking water causes 1.6 million deaths each year, mostly from diarrheal and parasitic diseases. Because of this, importing disinfecting chemicals is a priority for many developing nations. But what if instead they could rely on inexpensive, local means to turn contaminated water into potable, purified water? A team of researchers led by Stephanie Butler Velegol, an environmental engineering instructor at Penn State, are looking to the past for water-purifying techniques they might be able to adapt for today. One possibility: the Moringa oleifera tree, a common food source in tropical and subtropical regions. 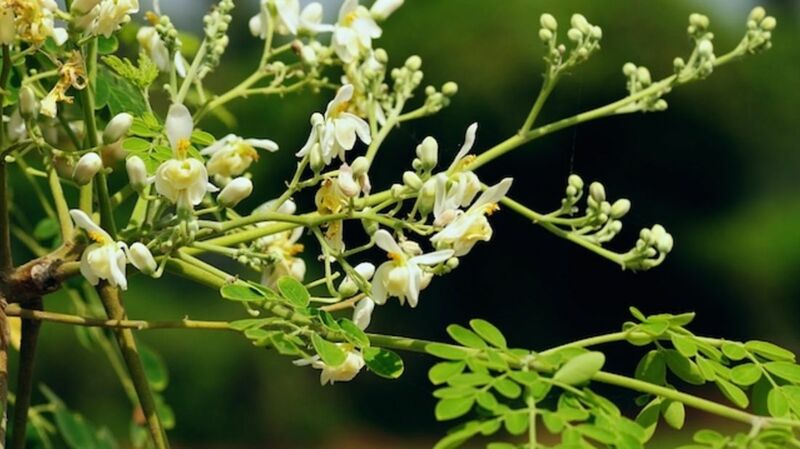 But in addition to the edible seedpods, seeds, leaves, roots and flowers, locals in the areas where it grows also make use of the Moringa oleifera for its bacteria-killing properties. As far back as ancient Egypt, crushed Moringa seeds were rubbed on clay pots to purify the water inside; for many years dried powder from the crushed seeds has been used as a handwash. The process works via a positively-charged protein called the Moringa Oleifera Cationic Protein (MOCP), which kills dangerous water-borne bacteria by causing their cell membranes to fuse. However, because the organic matter remains in the water, the protein continues to provide a food source to any bacteria not destroyed, allowing the water to become re-infected again in a matter of days. A 2012 paper proposed a solution to this by a suggesting a process during which the MOCP was attached to grains of sand, which could be easily removed from the purified water, washed and then used again. More recent studies have examined when seeds should be harvested for the most bacteria-fighting potency. Researchers teamed with Bashir Abubakar, a botanist from Ahmadu Bello University in Zaria, Nigeria to study the effectiveness of seeds in different seasons, and found that the extracted protein of mature dried seeds collected in the rainy season is most effective, followed by mature dried seeds collected in the dry season. If the seeds prove viable on a large scale, Moringa oleifera tree plantations could also help boost local economies. What's more, the less money spent on importing chemical purifiers, the more funds will be available for infrastructure and other social needs.